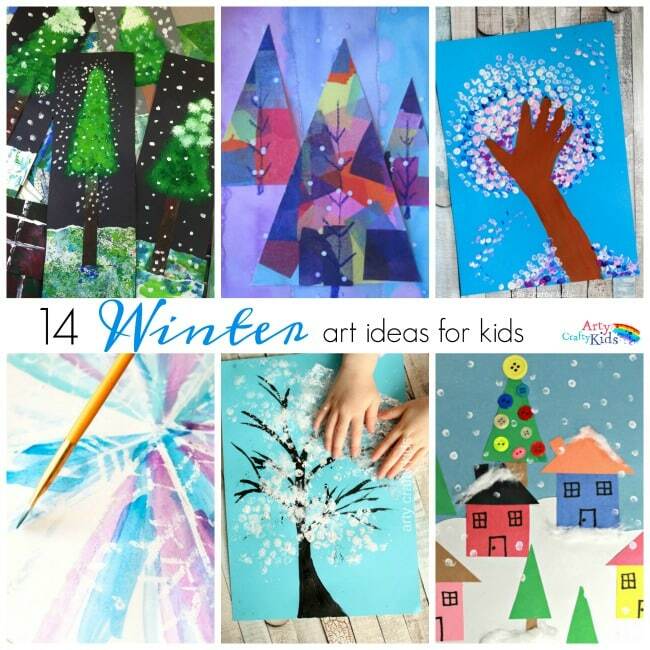 The changing seasons are a wonderful source of arty crafty inspiration and to ease us into Winter, I have put together this gorgeous collection of 14 Winter Art Projects for Kids. As always, I love simplicity and variety. 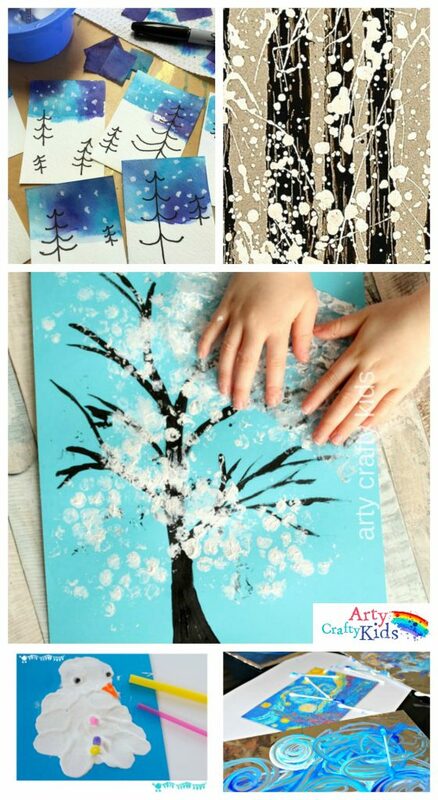 And as you progress through this post, you will find an eclectic range of techniques including: Splat painting, painting in the snow, bleeding tissue paper art, resist methods, winter collage, painting with bubble wrap and much much more. There will be something to suit every fancy and all age groups, with the emphasis placed on the process rather than the end result. I have a few favourites of my own, what will be yours…. Shall we take a look? 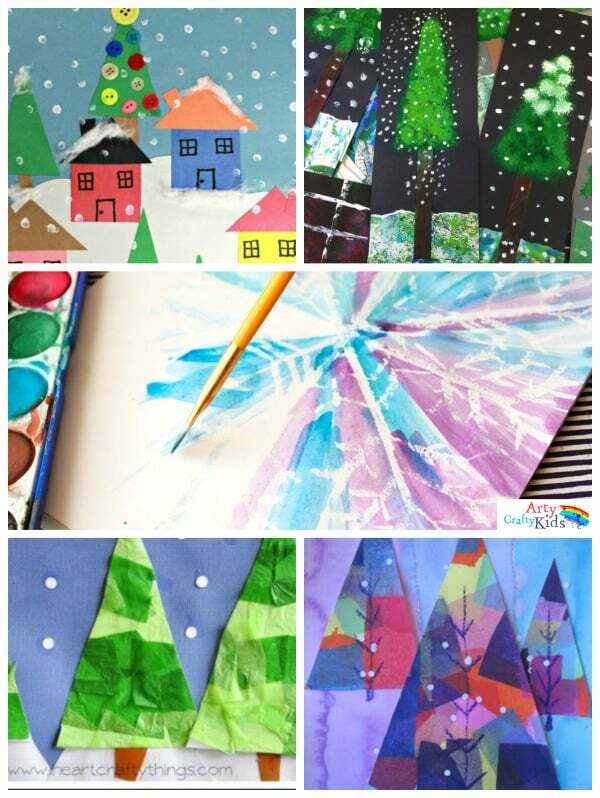 Art is a wonderful way to observe and explore seasonal change, and I hope you have an idea or two to try with the kiddos! 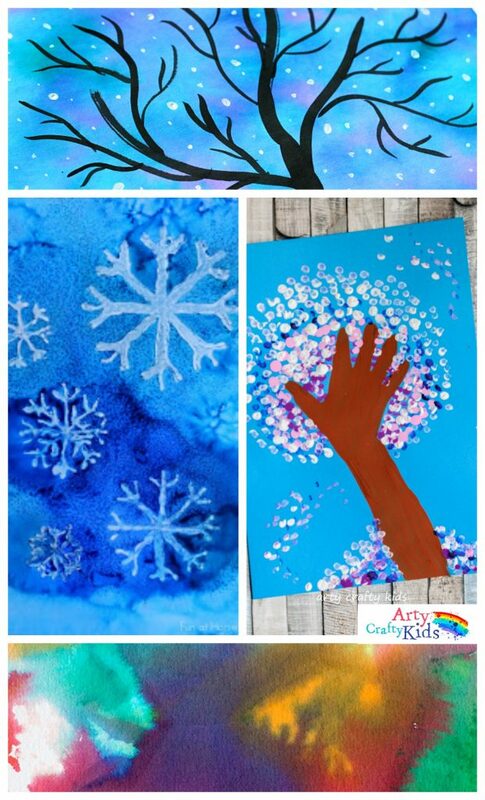 And if you have enjoyed Winter Art Projects for Kids and would like even more inspiration, you should take a look at our collection of 16 Winter Crafts for Kids, where you will find a variety of snowman, animal and snowy wintery crafts. 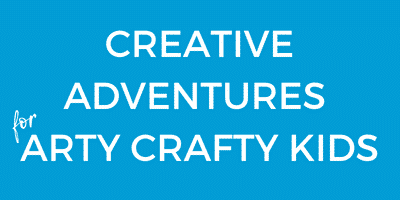 To keep up to date with our latest Art and Craft Ideas, SIGN-UP the Arty Crafty Kids Newsletter for regular updates! Creative and fun art & craft ideas for parents and educators of children aged 3-8 years old. 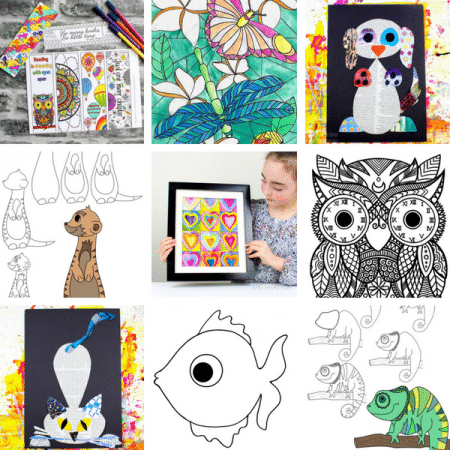 DIY art & craft projects and printable templates, activities, how-to-draw guides, colouring pages and more in the Arty Crafty Kids Members Area! Sign-up for our weekly Arty Crafty Kids email and we’ll send you our popular Pet Pals eBook with Free Printable Templates! Sign-up for a 5 day free trial and receive this 25 page Easter Activity Book FREE! Yes! I want my Free Trial!